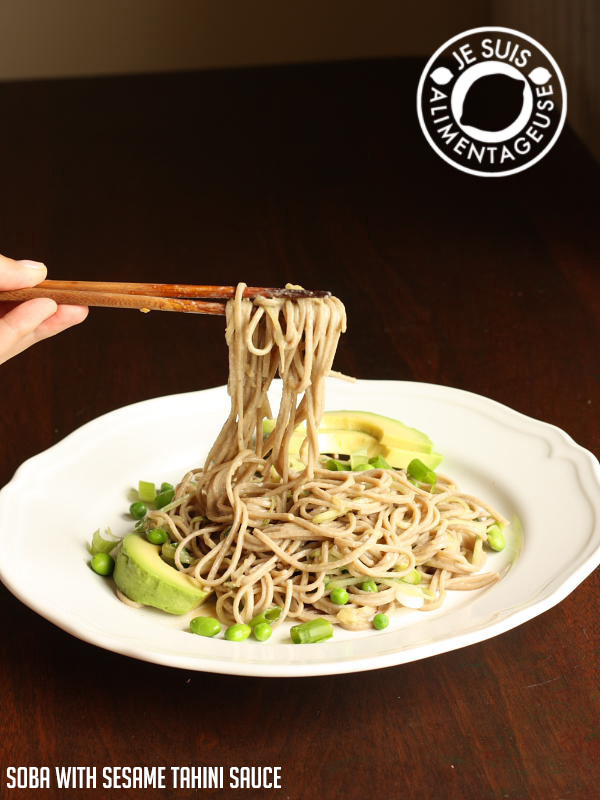 I actually made these soba noodles with sesame tahini sauce last week, but it is so unbelievably hot in Toronto, I need to make it again right meow. I was told to prepare for the city heat wave, but holy I was not prepared for this. Today it is 31 C, and it is 42 C with the humidex. I’m not fortunate enough to live in a well ventilated and A/C’d apartment, but luckily I have an A/C unit that tries so hard to keep my apartment cool. It only brings down the inside temperature by a few degrees (right now it reads as 30 C in the apartment and it’s on blast and aiming for 24 C). I give it an A for effort. But now is not the time to turn on the oven. 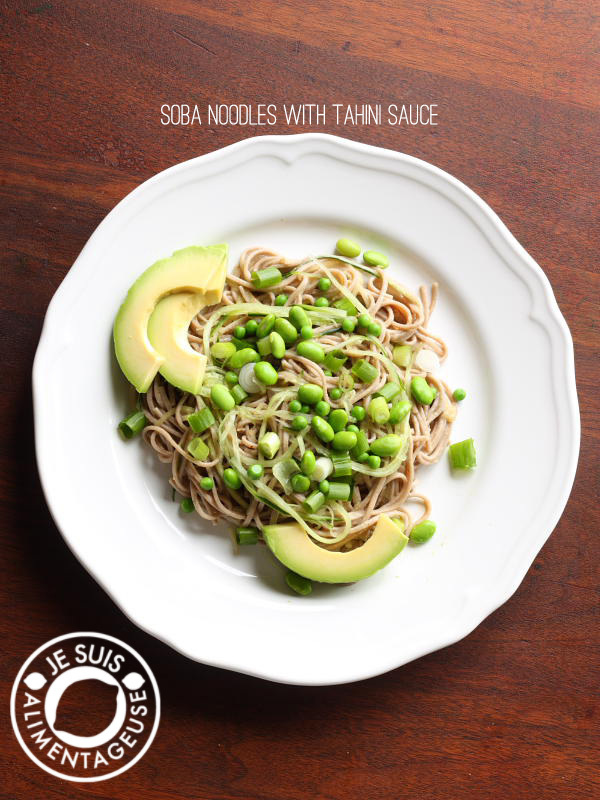 Now is the time for these beautiful soba noodles with sesame tahini sauce. I barely want to turn on the stove, but the only things I have in my fridge are eggs, green onions, and carrots. In my freezer I’ve got edamame beans and peas. All these things require cooking. Well maybe not carrots. But I’m allergic to carrots when they’re raw so nuts to that. The sesame tahini sauce kind of has a sweet and savoury component to it. The sugar extends the flavour of the tahini (yes I realize that calling the sauce sesame tahini sauce is redundant, but not everyone knows that tahini is sesame seed paste). And besides, Legolas means Greenleaf in Elvish, so his name is actually Greenleaf Greenleaf. Redundancy can sometimes be good. Right? Anyway, the sauce is sweet and gingery, but complemented by the umami flavour of the tahini and saltiness of the soy sauce. All of these flavours marinate into the noodles and if left overnight, all the flavours marry together and you get a delicious, cold salad that is great for miserable days like this today. But if you didn’t make this in preparation for a hot day, have no fear. It is still delicious fresh. Top it with beautiful greens, maybe even zucchini and cucumber spiralized noodles and a couple slices of avocado, and you have a wonderful summer dish. And if you are feeling adventurous, you could even top it with a fried egg. But it’s up to you. And the awesome part of this dish is that it’s packed full of iron and protein. Iron from the sesame seed paste, and protein from the edamame beans with the buckwheat. 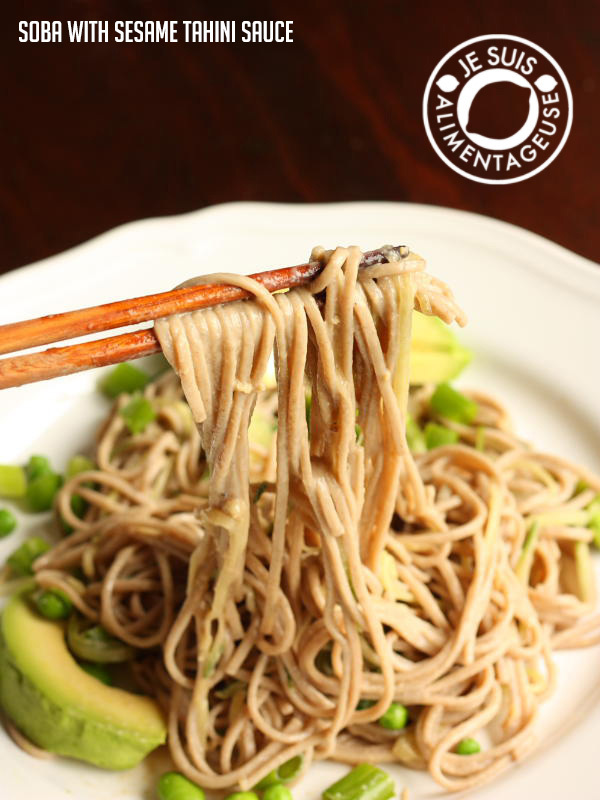 What’s not to love about these soba noodles? What do you do to stay cool? What are your favourite summer dishes that are good for hot days? Dissolve the sugar and water together (either in a microwave or over the stove). Once dissolved, whisk in tahini, grapeseed oil, red pepper flakes, rice vinegar, soy sauce and grated ginger until smooth, and thick. You make want to add more water if you want the sauce to be thinner. Cook the soba noodles according to the package. Drain and rinse noodles under cold water. Transfer to a large mixing bowl. Add the tahini sauce, cucumber noodles, green onions, and edamame beans and mix well until coated in the sauce. Serve with avocado slices. Best served chilled, but it's good hot as well. Store in an airtight container in the fridge. Keeps well for 2-3 days, but I wouldn't recommend letting it sit in the fridge much longer. Yum! 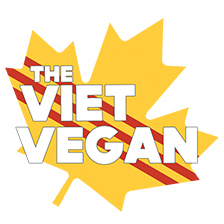 Believe it or not, I made this first thing this morning - got started on it even before my coffee. Added lots of shredded zucchini and a handful of sugar snap peas (still frozen, they thawed quickly, cooling the dish even more) and topped it with still warm freshly toasted sesame seeds (because one can never have enough sesame - I buy it by the lb) and can I just say.. this makes a fantastic breakfast! Especially with a mug of tea with a bit of ginger in it on the side. I have plenty of the sauce left - I think I may try brushing it onto a piece of fish before grilling it. Or just use it as a dip for a plate full of veggies - I have more cucumbers and zucchini than I know what to do with, both will taste fantastic with this sauce! Thanks for a fantastic recipe - you're right, it is perfect for a quick summer meal. Do you have any idea how long the sauce will keep in the fridge? I think I might like to make this a summer staple and always have a batch on hand if it keeps well. Jas recently posted...May ornament done! Thanks for coming back to share how you liked the recipe! 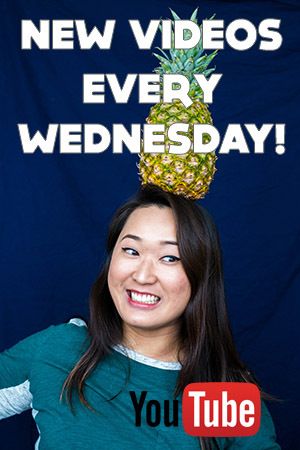 Yes you can definitely never have enough sesame, it's the bomb. Black sesame on top of this would be delicious too. Not sure how long it'll last in the fridge, I usually eat it within a couple days, so definitely a few days for sure.I wouldn't have thought to use it as a dip for veggies, that's a tasty idea =) Thanks for taking the time to leave a comment! Thanks so much. Can't wait to try this. I stumbled over from the Garum Factory via someone in their comments section. 'See' you again! Soy Sauce has gluten, unless you specifically buy gluten free.I would recommend bigger "if you want to make this gluten free..." notes. Usually when a person clicks on a Gluten Free recipe, the ingredient substitutions are more prominent. I made this sauce and put it on semolina noodles with steamed snap peas and red bell pepper. It was fantastic! Thank you for a quick easy and delicious recipe!